Samantha Chu and Joanna Bellan with their research collections. 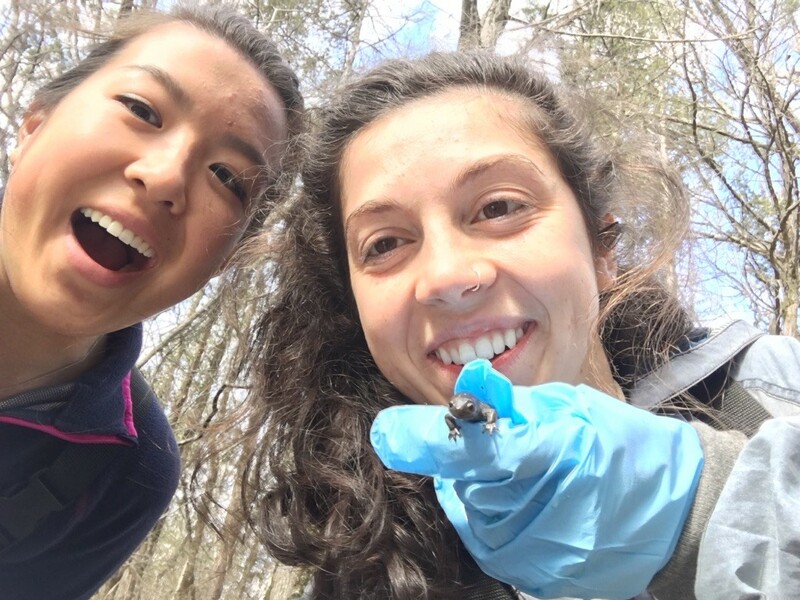 This past weekend, Biology Department Chair and Associate Professor Dr. John Niedzwiecki and two Belmont Biology Honors students, Samantha Chu and Joanna Bellan, began collections for their thesis projects. The work is connected with a recently funded Tennessee Wildlife Resources Agency grant that Niedzwiecki is the Co-Principal Investigator on with Dr. Carla Hurt at Tennessee Tech University. The grant is titled “Conservation Genomics and Population Status of Streamside Salamanders (Ambystoma barbouri) in Tennessee.” The grant, which began January 1 and concludes June 30, 2019, provides $19,668 for the scope of this work. Several of Dr. Niedzwiecki’s previous biology and honors students have worked with this salamander in the past on undergraduate research projects.